Ira Goffman is a partner with ROLF and concentrates his practice in the representation of health care providers in a wide range of regulatory, transactional and strategic matters. 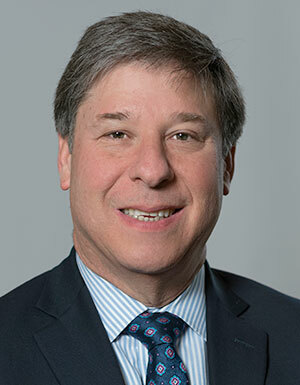 He has been selected as one of Ohio’s best health care attorneys by his peers in the “Super Lawyers” publication since 2006, and one of the best health care attorneys in the nation by “Best Lawyer in America” every year since 1995. Ira is certified as a health care specialist by the Florida Bar Association (since 1996). Ira has been with ROLF since 1984. Certified as a healthcare law specialist by the Florida Bar Association since 1996. “Operating Rights to Nursing Home Beds – Selling and Leasing can be a Complicated Process” – The Cleveland Bar Journal, October 2002 edition. “Healthcare Transaction: A Trap for the Unwary” – The Cleveland Bar Journal, April 1999 edition. ”Purchasing Assets of a Medicare Certified Long-Term Care Facility: Automatic Assumption of the Seller’s Program Liabilities” – Banks Baldwin Law Publishing Company Health Law Journal of Ohio – September/October 1994 edition.